Zazzle is one of the leading online retailers for customized merchandise. You can upload your own images and text to create your own t-shirts, hoodies, coffee mugs, posters and other products. Its interface is also one of the easiest to use for the average individual, making it one of the best choices for digital printing and embroidered decoration on retail items. Follow the steps below to see how easy the process is for making your own t-shirt. Head to Zazzle.com/custom/tshirts in a web browser and scroll down to select a t-shirt style. You can see styles by gender/age or scroll down further to select a style from the most popular t-shirt styles. You should at least have a basic idea of what you want your t-shirt design to look like It helps to have your image, text or combination of image and text planned out before you can start designing your t-shirt. Refrain from using copyrighted images such as company logos or artwork created by someone other than yourself. You must get permission from the copyright holder before you can use any image. If you want to get a logo or image created professionally, you can outsource the work to a professional designer using third party sites like Elance or 99 Designs. Alternatively, you can create your own drawing using software like Adobe Illustrator or you can use a photo you took with a digital camera. Make sure your image adheres to Zazzle’s image guidelines. Whenever you select the Add Image or Add Text button to add your elements and go to the customizer, you should see some guideline links appear in the bottom left of the screen. Selecting Learn More will tell you all about the lines for designing your t-shirt while selecting Design tips will open up a tab featuring a variety of design video tutorials you can watch. Use the buttons on the design tool to design your T-shirt, such as imagery and text. You can even add optional shapes. Depending on the t-shirt style you chose, you might be able to design several different components of the t-shirt—such as any pockets. Regardless of whichever t-shirt design you choose, you'll also have the option to add designs to both the front and back of the t-shirt. Customize your image: You can move your image around on your t-shirt to put it exactly where you want. You can also select any of the corners and drag them to resize the image. Scroll to the bottom to see more editing options for cropping, spacing, rotating and more. Customize your text: After you enter the option text of your choice on the t-shirt, you’ll notice several settings appear at the bottom where you can customize the font, size, color, alignment and rotation of the text. Select Done when you're happy with your design. Select your t-shirt size and use the size chart to ensure you choose the right size for you or whomever will be wearing your t-shirt. Zazzle offers a variety of light and dark colors for your t-shirt. 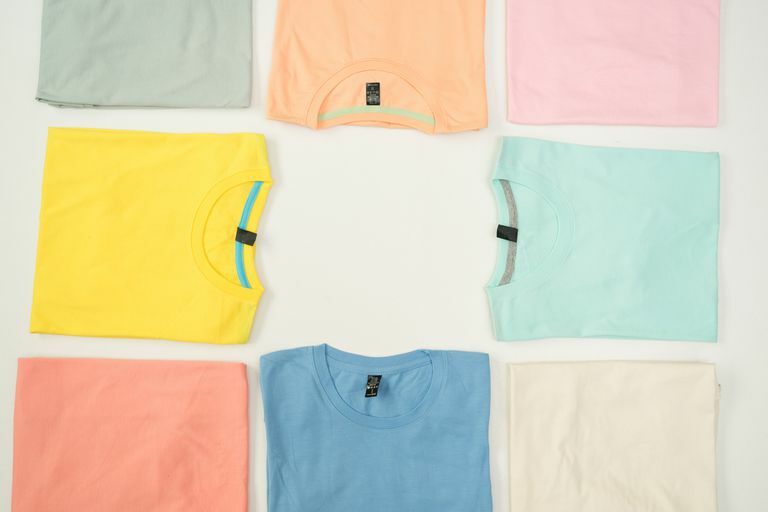 Click on any of the colors to instantly see what your t-shirt would look like in that color. If you're curious about what your shirt would look like in different styles, you can also scroll through the styles and select a new one to see it in the preview window. Please note that t-shirt styles and color choices vary in price. Now that you’re design is finished and your t-shirt style and color are ready to go, select the quantity you want and then select the orange Add to Cart button to purchase it. When you're ready to check out, you'll be asked to create your Zazzle account if you are a new user or login to an existing Zazzle account if you are a returning user.